I will keep updating this same post as some of the items are still being photographed. Keep following please. Thank you. This is 5″ MeedMoh Roon Raek Ven. LP Seua. Ven. LP Seua cldnt remember clearly which year Ven. made them. Made little only. Knife holder is made of ivory and sheath is made of wood. I suspect its should be in the region 2536-2540. 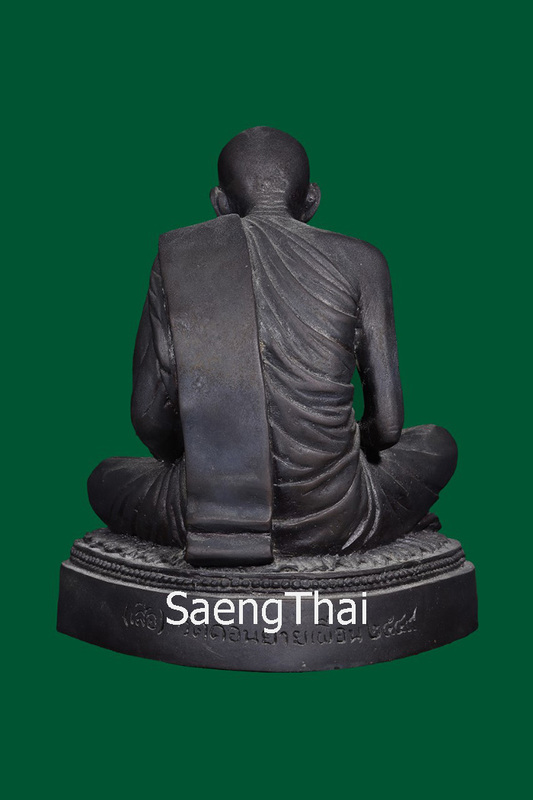 This is 2nd batch also 5″ , sponsored by SaengThai. Both knife holder and sheath are ivory. the Ivory ones are made less than 10, not inclusive of Ven. LP’s own meed moh. The ivory wasn’t bought, it was donated by a fellow disciple of Ven. LP Seua. Meedmoh Ven. 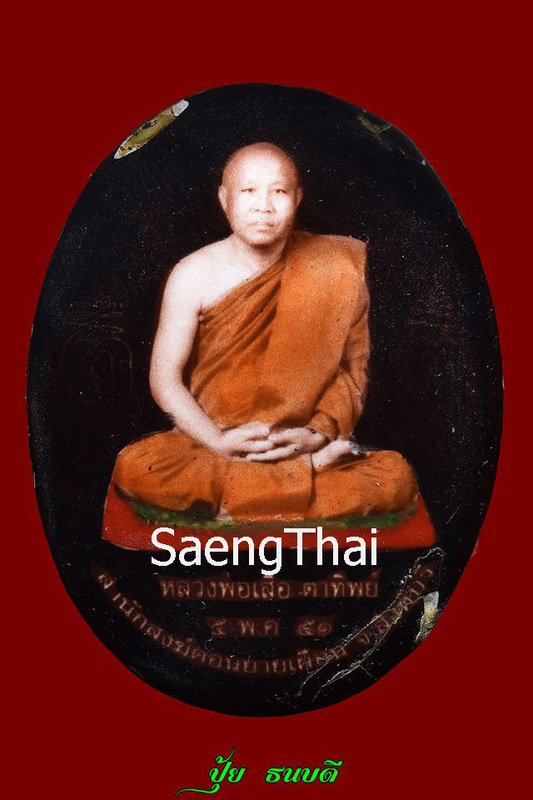 LP Seua is much sought after because Venerable is known for his wicha in exorcism and those days when Khun YaiPeuan (Ven.’s benefactor also the donor of Wat DonYaiPeuan land, the 1st to help Ven. LP Seua) was still around. Ven. 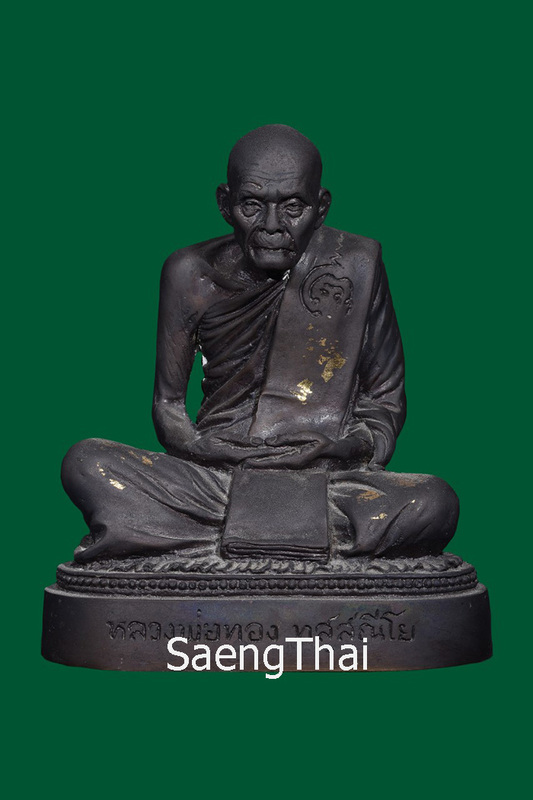 LP Doem of Wat NongPho, Nakorn Sawan rode 4days 3nights on elephant to visit Khun YaiPeuan. 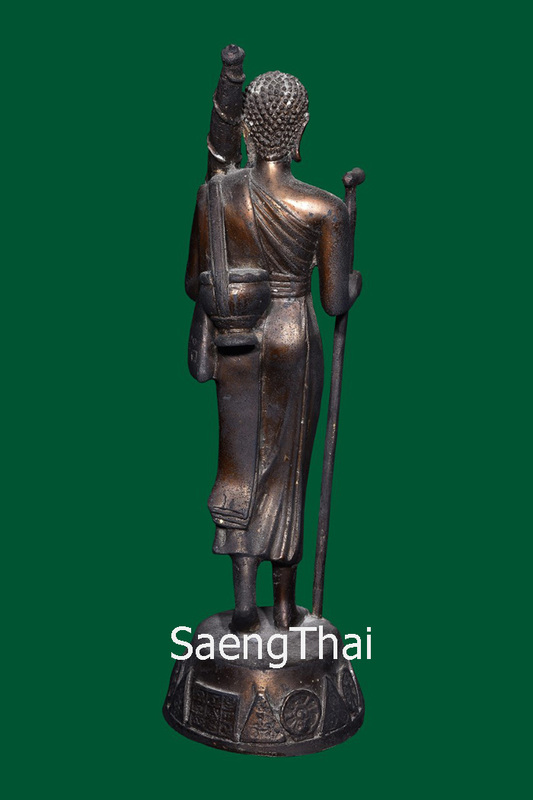 It is an unforgettable history that villagers around temple at Wat Donyaipeuan still lives to tell. The lady whom I call her “Yai” shared this with me, she was already 95 years of age. She said she was still a little girl then. Both are going for THB40,000. Rare opportunity, don’t miss it. All lockets that Ven. LP seua made in the past, especially this one above was made only 100pieces in total. 30 pieces with gold takrut and 70 with silver takrut (as above). This is considered roon raek locket with such pong and handwrite takruts by Ven. LP Seua. This was made year 2551 in conjucntion with Ven. LP’s birthday. Ven. 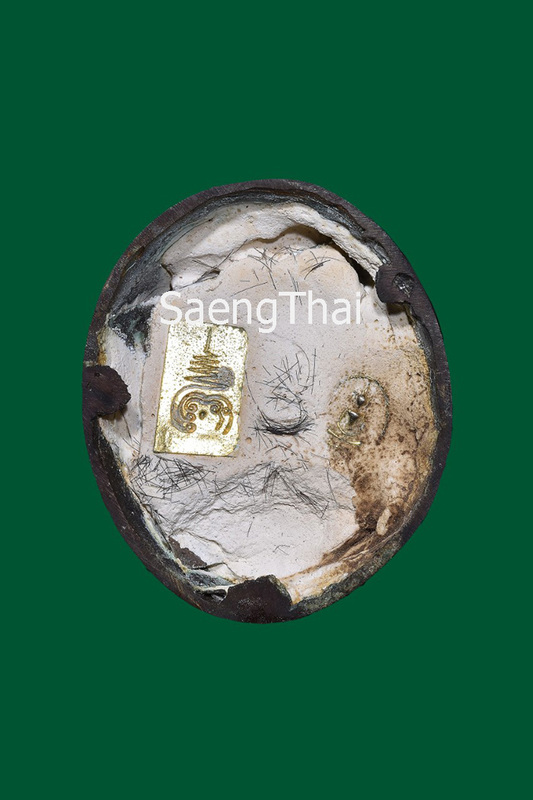 LP added much pong saksit in this locket, one can see them also here. There are some visible cracks at the side because took off from casing. One can see Ven. LP’s handwrite yants on the locket too, left and right of his image. This locket was made not long after the black one above. 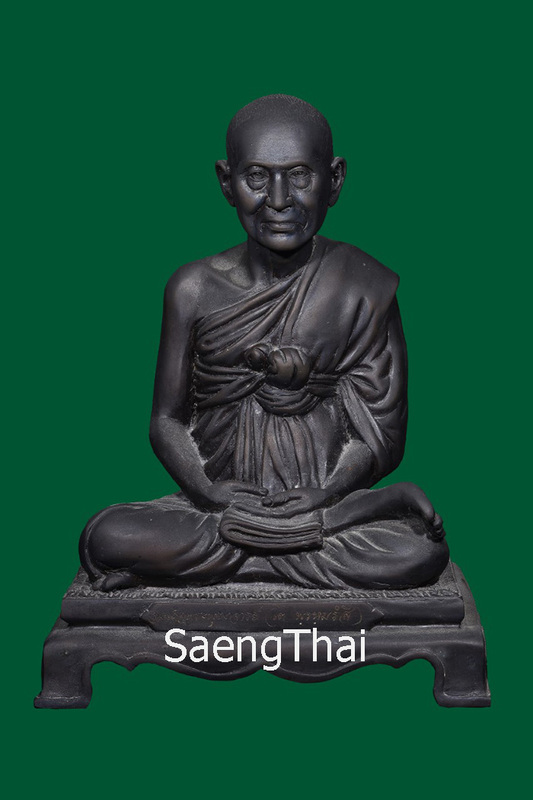 Special request by Mo Chukiat, a lay disciple whom was learning healing formulas from Ven. LP Seua. He has brought in influential people to make offerings to Ven. LP Seua. 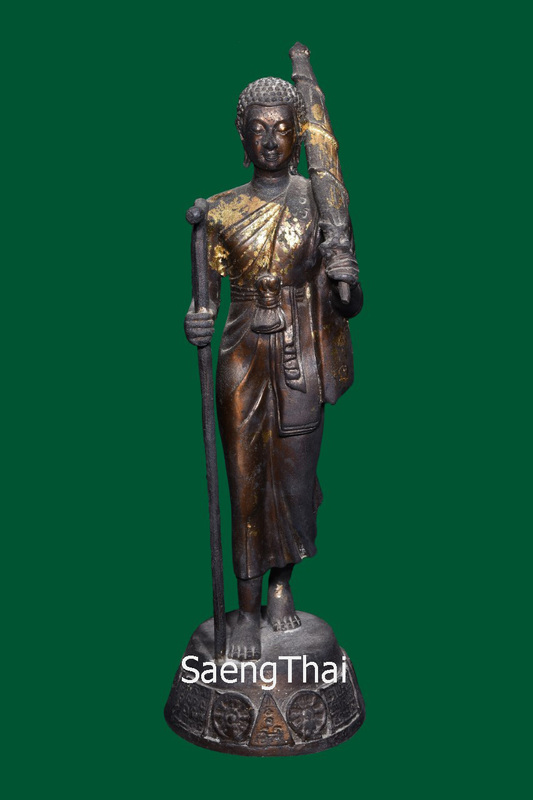 Even the sponsor for the Main Buddha image in Ubosot was through him. Made only 16 pieces. 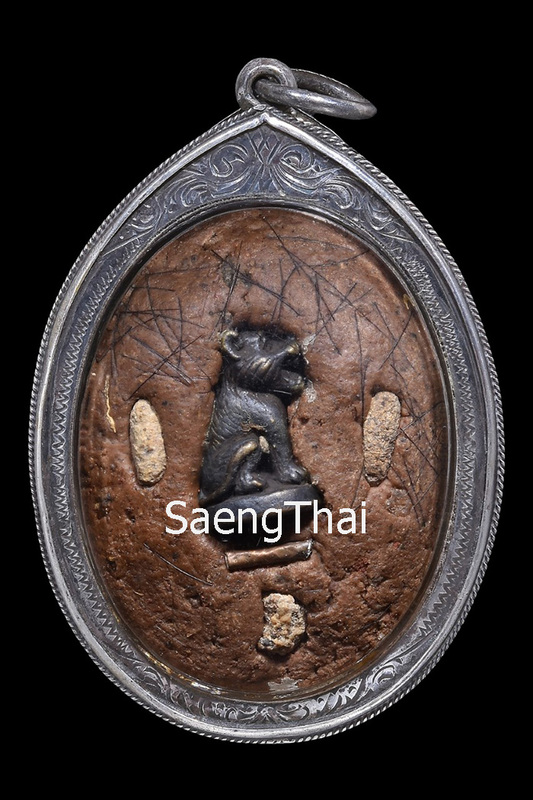 The tiger rooplor was 1st batch, 2 relic rice grains that became stones (the Thais takes it as a symbolic of prosperity), handwrite takrut and what appeared to be relics or sacred remnants. This image of Ven. LP Thong has many miracles. 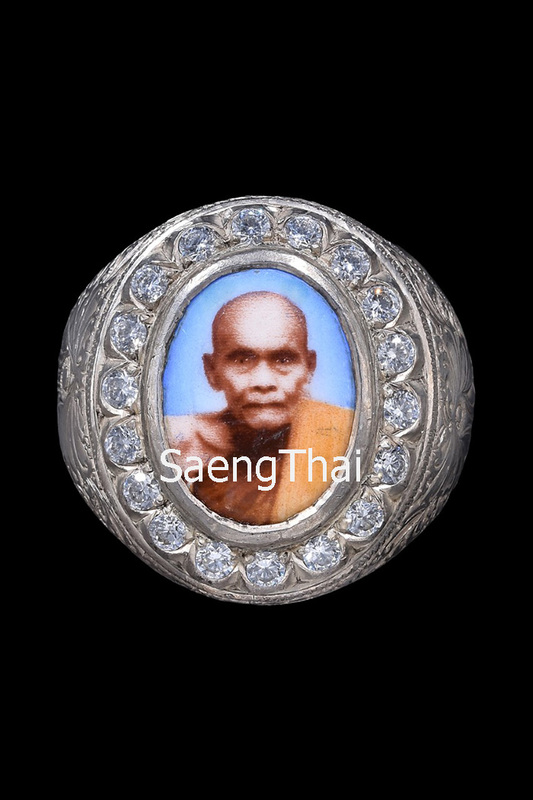 This ring is solid silver and locket of LP Thong image. Made 2 only, special request. People whom knows me, knew that I love rings. They are good for many things. Do you know one of such kathas we learn, by the power of the index finger, one can subdue the enemy? Phra Sivali is 1st batch made in the region of 2540. Even Ven. LP cannot remember which year exactly. Ven. 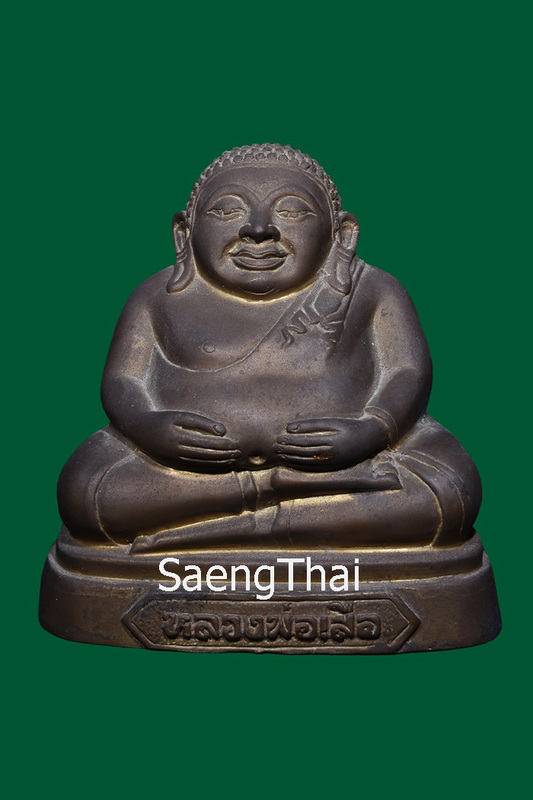 LP Seua is very fond of making Phra Sivali because Reverend believes that this Arahant bring luck and auspiciousness. 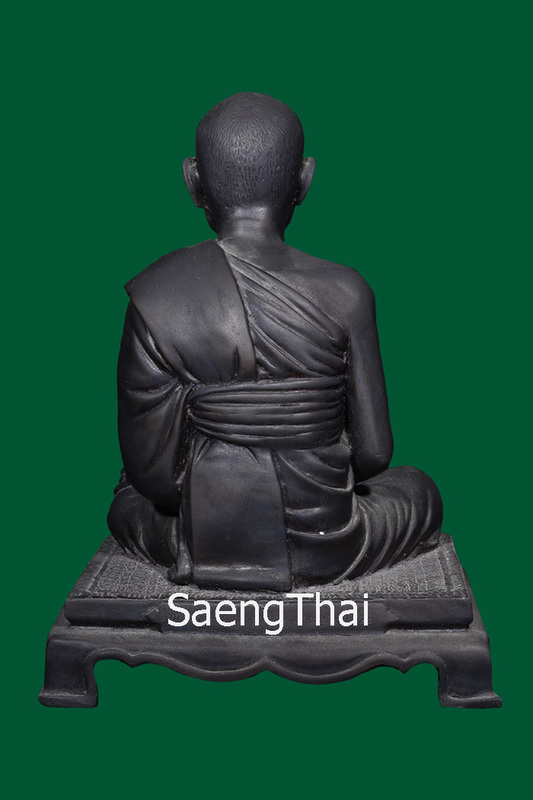 Reverend always tell me that Phra Sivali is good for sales and business. One of Ven. 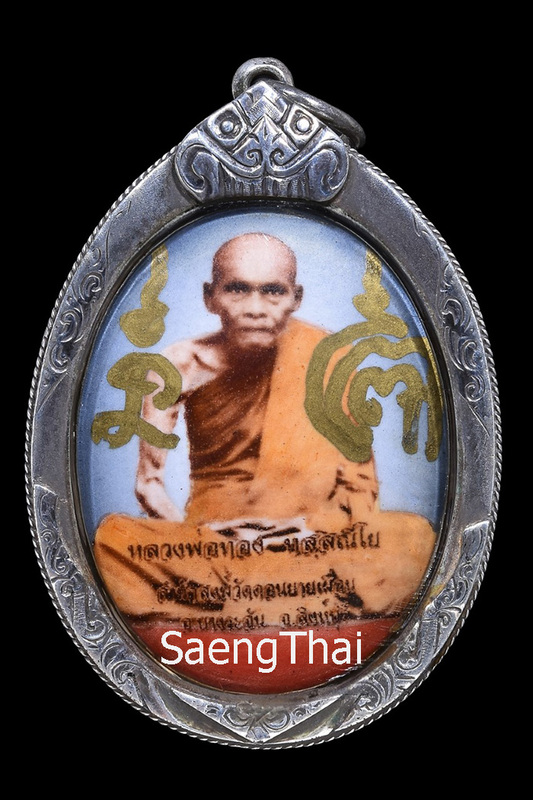 LP Seua’s formula of consecrating amulets until they becomes potent with much luck factor and great Metta is by chanting Phra Katha Phra Sivali. Very difficult to find, seldom collectors let go. Among the many buchas, Reverend made. I loved this the best (other than LP Thong buchas of course!). 9 inches Ven. Somdej Toh Phromarangsi. 1st batch, the only batch made in those early years. Made very few and very difficult to get. 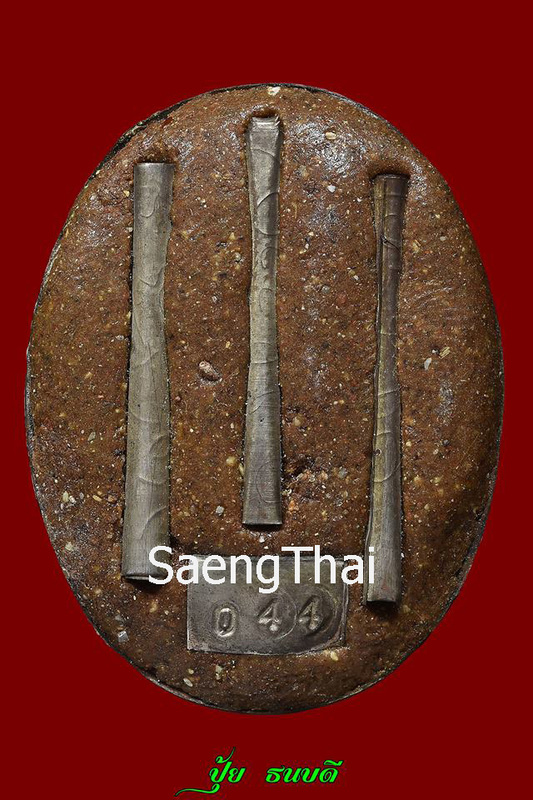 Phra Sangajayana is 1st batch made in the region of 2540 about the same time as Phra Sivali. Also made few and difficult to find. This is a prized collection, hard to get. I have known Ven. LP Seua coming 10 years now, this is the only bucha I have seen. Bucha LP Thong 5 inches Roon 2 in 2549, of all the 5 inches buchas Ven. LP Seua made, Roon 2 has the closes resemblance with the actual LP Thong’s look. 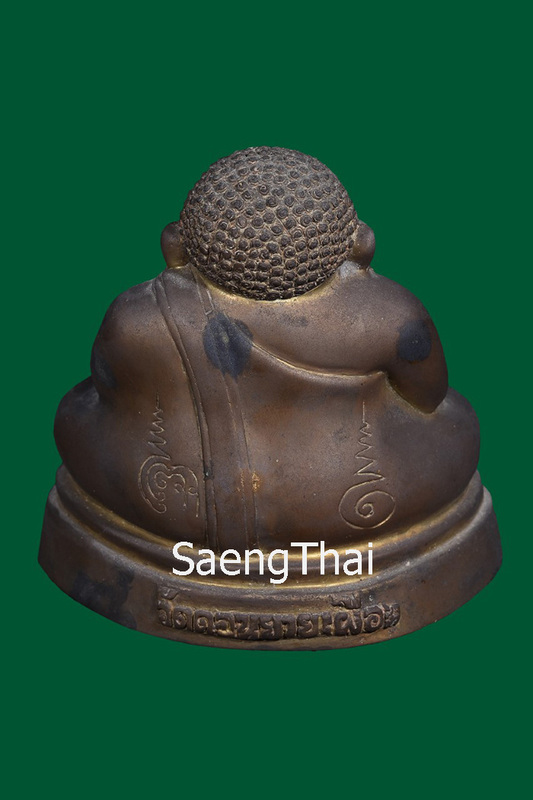 This is a sacred/saksit bucha, not for display and not for people whom are not serious with tending to their buchas with reverence and offerings. 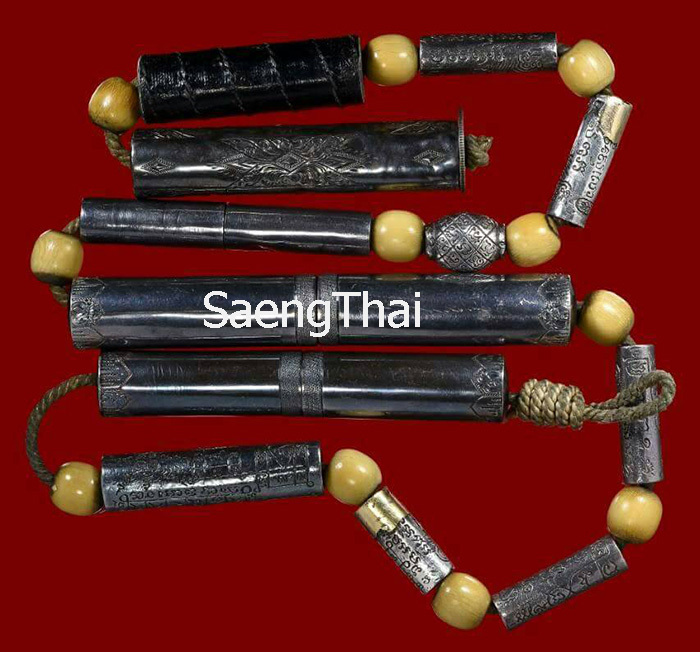 This is a set of takrut aeu (waist), a combination of Ven. LP Seua’s takrut 1st batch and many others good Gaeji Archan eg. our LP Thong handwrite takrut, LP Suk Wat MakhamThao, LP Loon…etc. 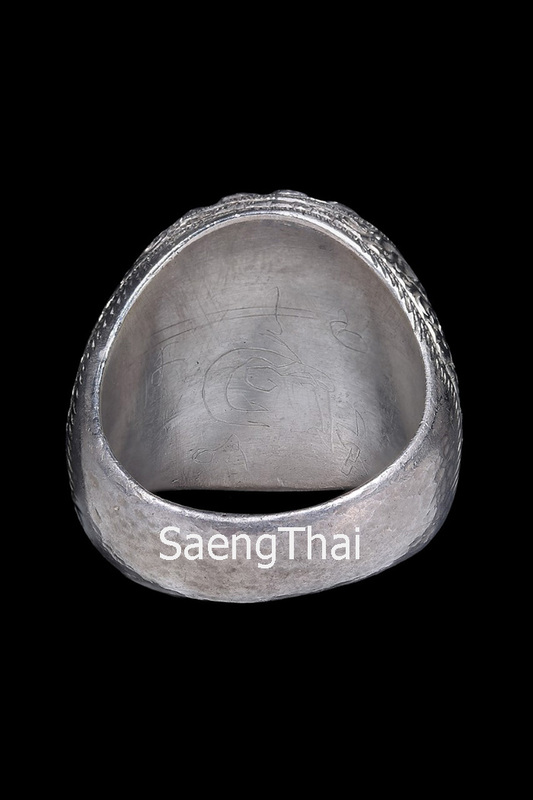 Did you noticed the silver sets of NakMakPakThak takruts look different? Yes, it has gold on it. This is Ven. LP Seua’s own takrut, Reverend worn it himself in the early days. Those whom are interested, kindly call me, Derrick at 012 692 1233 or Whatsapp ID derryck knightfrank. My previous Whatsapp, Line and Wechat ID cannot be used at the moment so please Whatsapp this ID.